Xiaomi is all set to introduce its new smartphone on February 14, but as of now, the company did not reveal what the smartphone is. Both Xiaomi and Flipkart are touting the device as All Rounder, hinting at the possible launch of the Redmi Note 5 as a successor to last year’s Redmi Note 4 smartphone. Today, a Twitter user from India tweeted the complete specifications of the upcoming Redmi Note 5 smartphone. According to the user, Ankit Chugh, Xiaomi will launch two variants of the Redmi Note 5 in India- the standard Redmi Note 5 with Snapdragon 625 chipset and the premium Redmi Note 5 Pro with Snapdragon 636 SoC. Also, the company seems to be finally bringing the Mi TV to the Indian market, maybe in collaboration with Reliance Jio. Speaking about the specifications revealed by the user, the standard Redmi Note 5 will have a 5.7-inch Full HD+ display and will be powered by the two-year-old Snapdragon 625 SoC. And this phone will have a single 12MP sensor at the back, followed by a single 5MP sensor at the front. This variant will boot Android Nougat based MIUI 8.5 out of the box and will have a 4000mAh battery inside. Here comes the twist. The standard Redmi Note 5 is the same Redmi 5 Plus smartphone Xiaomi launched in China last year, but the display is slightly different as the Redmi 5 Plus has a 5.99-inch Full HD+ screen. 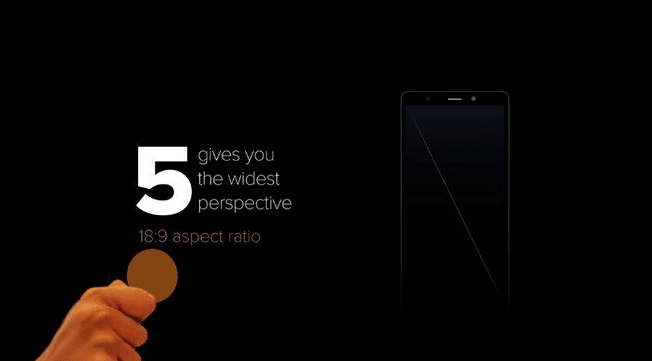 The Redmi Note 5 Pro as per the user will have a 5.7-inch or 5.99-inch Full HD+ display. Most probably, it will have a bigger screen. But the Pro moniker refers to the chip underneath. The Note 5 Pro is said to be the first smartphone to come with Snapdragon 636 SoC, and India will be the first market to get it. Of course, this isn’t surprising considering what Xiaomi achieved with the Redmi Note 4 in India. The Note 5 Pro will feature dual camera setup at the back. A 12MP primary sensor will be paired to a 5MP secondary sensor, and the latter might capture depth information. Also, the user says the Note 5 Pro will have a massive 20MP sensor at the front. And it will run the same MIUI 9.5 and will be fuelled by the 4000mAh battery. Going by these specifications, the Note 5 Pro will be priced around Rs 15,000, while the base Redmi Note 5 is expected to start from Rs 8,999. As usual, Xiaomi will launch multiple variants of both the phones with 3GB of RAM and 4GB of RAM. And lastly, Xiaomi is said to be bringing its Mi TV to the Indian market. Yes, finally. But only the base model is expected to make its debut in the country, and the sales are also said to commence in next month. We will be present at the event on February 14. So stay tuned to know more about this upcoming All Rounder from Xiaomi. Now everything is cleared, price is the issue!!!!! If launched with 16000 and 18000 priced tag it will be huge success!!!!! I am talking about Redmi Note 5 Pro!!!! !